Manufacturing plant and industrial flooring takes a beating. With nonstop foot-traffic, machinery and tire treads, you can’t afford to have a floor buckle, crack or become too slick and pose safety concerns. A properly installed, durable manufacturing floor system is an absolute necessity to keep your business running smoothly, and the assembly line productive. Black Bear Coatings & Concrete partners with New England’s top manufacturing companies to provide seamless, chemical and impact resistant flooring that is both attractive and dependable for years to come. 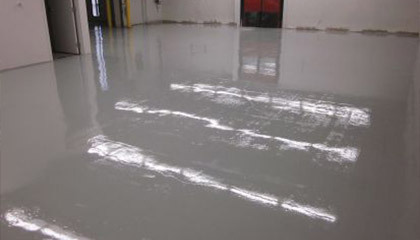 Our team stays up-to-date in the latest manufacturing flooring technology and we specialize in a variety of slip-resistant, non-skid flooring that can handle your businesses’ heavy equipment and traffic with ease. We are knowledgeable in all areas of thermal shock, electrostatic dissipation and other important site considerations to complete the job on time and on budget. Black Bear has engineered manufacturing floor solutions for many New England manufacturers including: Arborjet and Ronald Pratt.